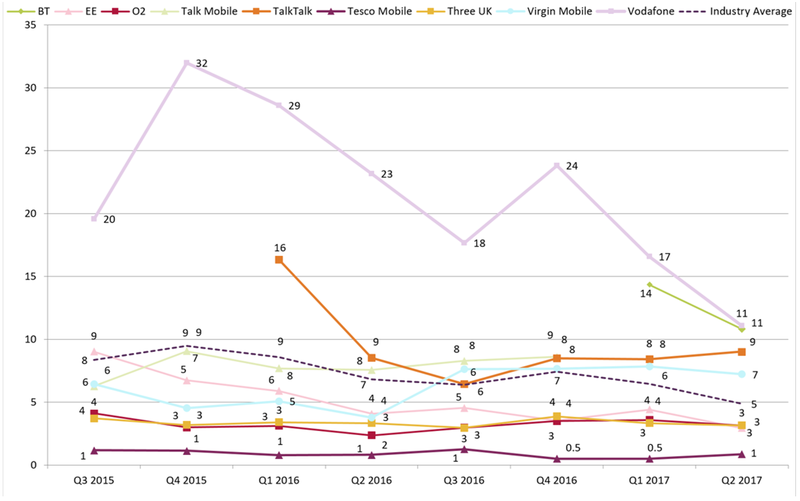 Ofcom has set out the volume of recent consumer complaints it has received against major providers of telecoms and pay-TV services. 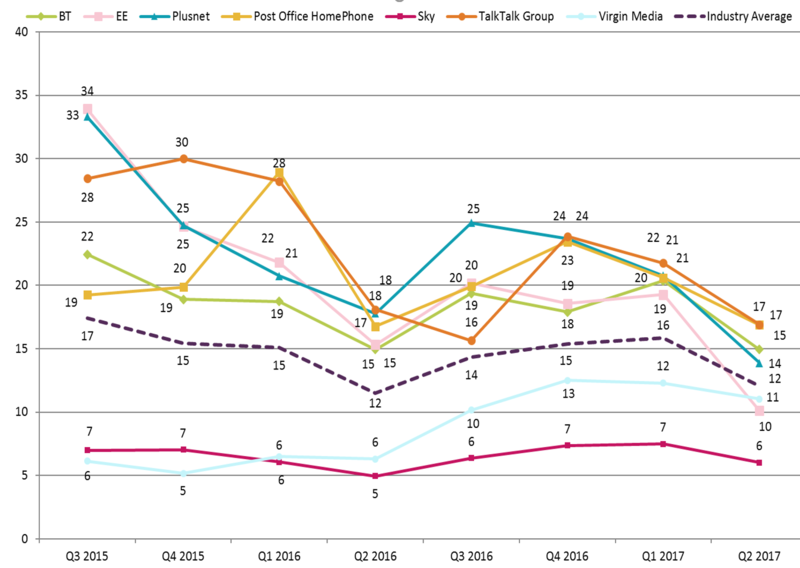 The latest report covers the three-month period from April to June 2017 (Q2), and includes complaints made about providers of landline telephone, home broadband, pay-monthly mobile and pay-TV services. Total complaints for each of the four services decreased during the first half of 2017. 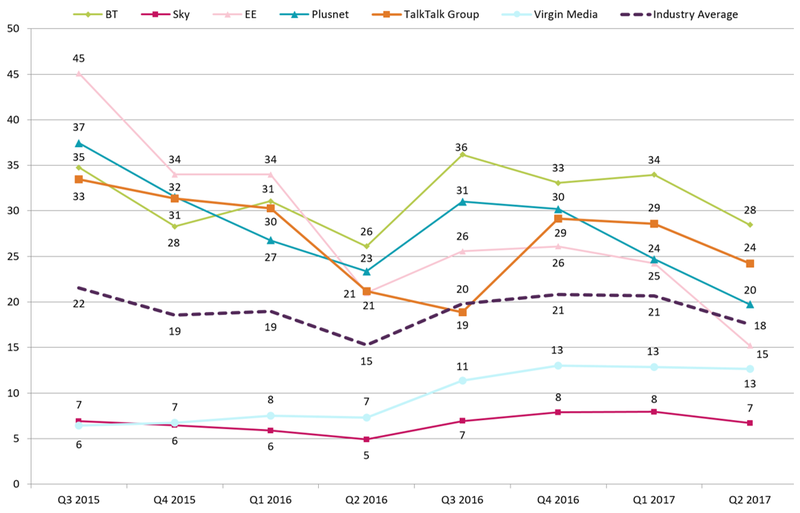 BT Mobile’s pay-monthly service is included for the first time in Ofcom’s report, having achieved sufficient market share. 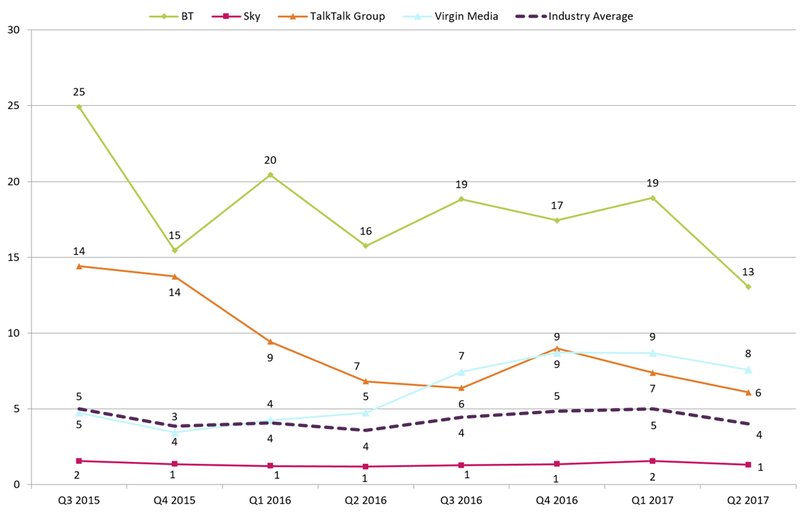 Together with Ofcom’s ‘Comparing Service Quality’ report, published earlier this year, today’s complaints data aims to give people who are looking for a new provider useful information for comparing companies' performance. The reports also offer an incentive to providers to improve customer service standards and address recurring problems.